A family stationed in Germany went to a Volkswagen Dealership to purchase a brand new Bus. It was just right for the family. Kornwestheim is a town in the district of Ludwigsburg, Baden-Württemberg, Germany. It is situated about 10 kilometres north of Stuttgart, and 5 kilometres south of Ludwigsburg. Eventually, the Bus and the family parted ways but the key pouch was kept as a souvenir. One of my VW friends was good friends with this former VW owner. 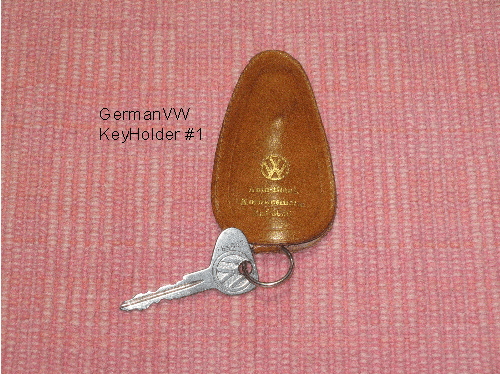 Thus, the key pouch passed to my VW friend. When my friend lost interest in VWs a while back, he passed this wonderful pouch to me. Needless to say—it never resides in my pocket. I want to save the embossed lettering. The key fastens to the ring on a strap. 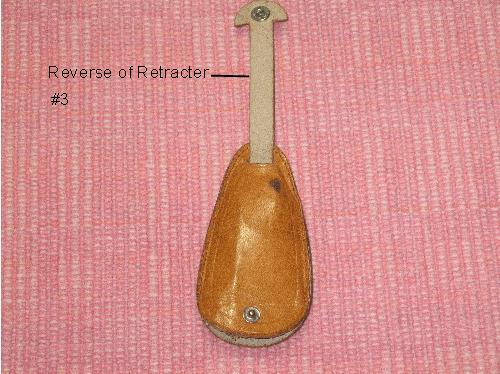 The strap can be pulled to retract the key inside the pouch. 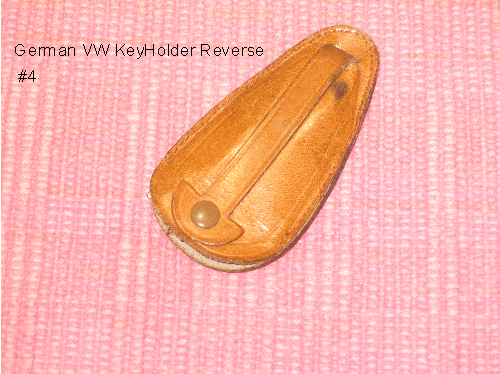 Once the key has been pulled into the pouch, the strap is snapped to the pouch to secure the key inside. The pouch can be stowed in a pocket or the loop can be used to wear the pouch on a belt. 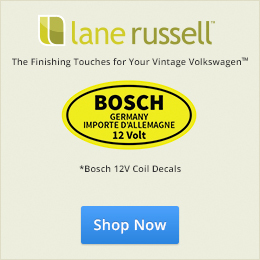 Do you have a Volkswagen Collectible which you’d like to feature? 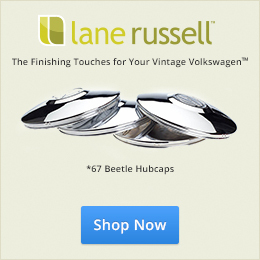 If so, contact 1967beetle.com. Hi, Donna—I was hoping that the photo would show that this is a “K” key but, alas–not quite in focus. Say “Hi” to Gary for me, please! Not necessarily a collectible item, but my ’67 Bug has a small plaque in the center of the dash above the radio slot. 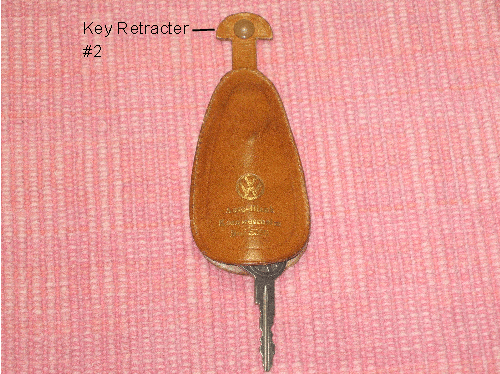 It is a small metal piece with the VW logo in the top left corner, with text reading “CUSTOM BUILT ESPECIALLY FOR”. Below that the original owners name is engraved. I have yet to find any other examples of this piece, so my guess is that he originally ordered it through a dealer, and they applied the plaque before delivery. I have 3 VW Maintenance Tool Kits (one is missing a wrench and a screwdriver). I don’t know if they are collectible, but they are definitely rare. I can’t seem to find a way to post pictures for you guys to check them out, though. FYI. Images can be posted here. However, I’ve not really explained how to do it. I might write an article about that. Here’s a quick mention. Hi jay and thank you for your response to me about my backup lights issues,, I’ll check that area by the front seat, the reason I say this is I don’t have a reverse backup lights cause there is none on the back bumper area at all, but I will get back to you, thanks again. Hi Jay thank y for your reply back, Yes it is at the garage as soon as they can get it in the shop they will check to see if there is any sign of reverse switch on transmission, thank you . Morning every one, looking for any information on fronts seats to my 67 vw beetle, the person I bought this vw from put 1974 high back front seats in it, so anything information it would be really appropriated, thank you. Hi jay and thanks for your reply , I’ll check and get one of the front seats out and take a picture of the frame area where the seat are attached too, and thanks again. Ahhhh–that makes perfect sense, Edward! Had the seats really been from a ’74 it would have meant that the chassis had been changed or some other radical modification had been made! Hi Jay I’m located in Fonda NY.